Congratulations! You graduated from college and landed your first job. Now, do you have all of the skills to launch and build a successful career? While your college education taught you how to learn and how to think logically, that is not enough to guarantee that you will succeed as a professional. Your diploma may help you get your first job. It is a like a ticket to enter the professional world, but it doesn’t mean you have all of the necessary skills you need. Read what are people saying about Career-ology. . .
Career-ology is a great resource for new college graduates looking to launch their careers and young professionals interested in mastering skills for heightened career success. The skills presented in this book will change the trajectory of your career. Read Career-ology and take control of your own professional development. My experience after college was an unguided tumult of lessons learned the hard way. Career-ology is the how-to manual that most of us learn after it’s too late, and will set your grad on course with skills that transcend industries and levels. Reading this book was like seeing my mental playbook on the page: how to navigate a networking event, write an email… even the reference library was filled with the resources I still use. It took me ten years to figure out what Chapski lays out for grads before their careers start. No one prepares you for your first few years after college, and I had to learn many lessons the hard way. Had I been given Career- ology upon graduating, my career would have been on much sounder footing to weather the financial crisis, company closures, and industry transition I went through. Career-ology is the first post-graduate manual I’ve read since What Color is Your Parachute that I think earnestly sets you on course in your career. Full of real-world skills and timely resources, Career-ology should have been tied to my diploma. This comprehensive, informative book provides students and recent grads with a blueprint for landing their first job and being successful as they start their careers. 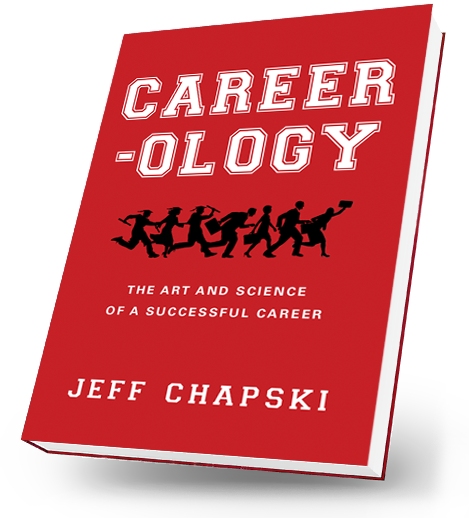 I wish Jeff Chapski had written Career-ology 35 years ago so that I could have read it when I graduated from college. This book is jam-packed with practical, insightful, street-smart advice that simply isn’t taught in college, law or business school. Career-ology should be mandatory reading for every young lawyer and finance professional. The skills Chapski teaches apply equally to those working in the not-for-profit sector and so this book is also a must-read for young social entrepreneurs. Career-ology is full of excellent advice and insightful tips for professionals who are starting their careers. In his book, Chapski high- lights the skills that are essential for professionals working in all levels of government, politics, and the non-profit sector, among other industries. Developing these skills were a key component of my early career success, and continue to guide my thinking today. Career-ology is the secret manual for how to succeed in the workplace. In this digital age, it’s too easy to forget that personal skills, communication and the like are the critical difference in getting ahead in the real world. Even peak performers need to understand the “soft skills” that enable rapid advancement and set a person up for the opportunities that their career can provide. Read this book! Career-ology provides great practical advice for both the recent college graduate as well as more seasoned professional looking for a refresher. 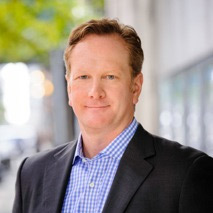 Jeff highlights essential career skills that every professional needs to know. Right from the start, the first chapter, Accelerating Your Career Experience, will certainly help job seekers differentiate themselves from the crowd. The skills introduced in the succeeding chapters are the building blocks for a successful career and will serve readers throughout their professional lives. Chapski delivers the right stuff for today’s career chase! Why does "networking" get a bad rap?